Taiwan is to establish a US$2 million fund aimed at boosting medical cooperation with Pacific countries, Foreign Minister Jaushieh Joseph Wu said Sept. 5 at a sustainable development goals roundtable during the Pacific Islands Forum in ally Nauru. Warmly welcomed by PIF member representatives during the SDGs event, the fund will significantly enhance the health and well-being of the people in the Pacific. It is seen as a natural extension of the extensive and long-standing collaboration between Taiwan and Pacific nations in areas like agriculture, education, health care and public infrastructure. According to the Ministry of Foreign Affairs, the fund will support the deployment of Taiwan medical team tasked with tackling health issues specific to Pacific nations, as well as subsidize related efforts and programs initiated by governments throughout the region. 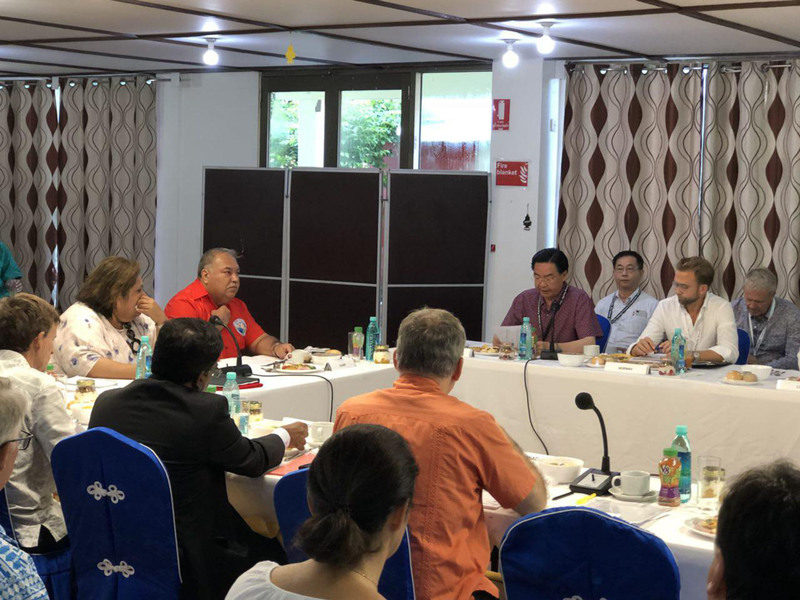 Wu, who is leading a delegation to Nauru for the four-day PIF wrapping up Sept. 6, also hosted the Taiwan/ROC—PIF Forum Dialogue, met with heads of state and representatives of like-minded countries, and visited Taiwan technical mission cooperative projects. Taiwan has participated in the annual PIF since 1993 and is considered an important development partner.